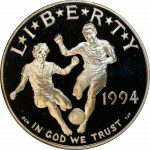 1994 World Cup USA 1994 Commemorative Coins. 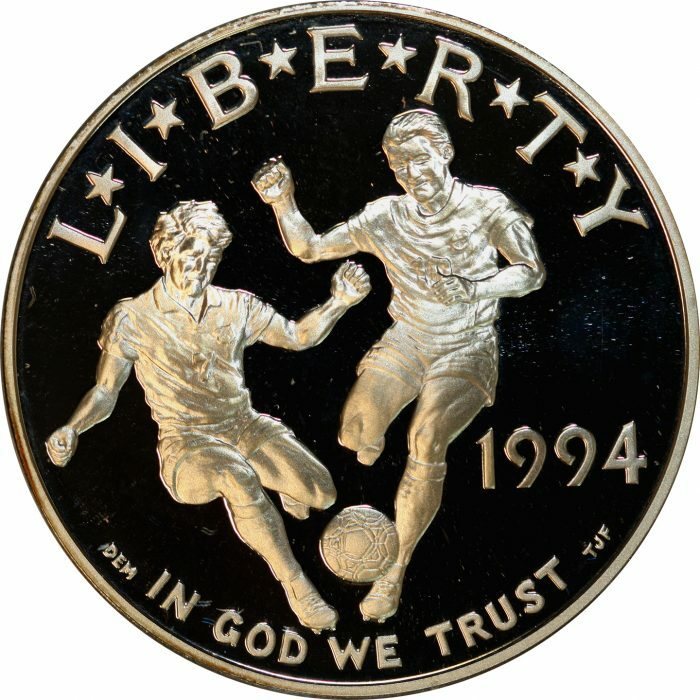 The first coin, a Silver Dollar, the obverse portrays two players competing for the soccer ball, the obverse has the World Cup USA 1994 logo flanked by laurel branches. The second coin, a Clad Half Dollar, portrays a soccer player planning his next move, the obverse also has the World Cup USA 1994 logo flanked by laurel branches.